Create new memories, have unforgettable adventures and pursue the path less traveled — it's all possible in Ivanovo. But first, let us offer you the essential facts about your next travel destination! To help get you oriented, Ivanovo is 60 miles (97 kilometers) to the southeast of the notable city of Yaroslavl. Some 470,000 people live in this part of Ivanovo Oblast, so there are plenty of opportunities to make some new pals. It'll be a breeze to plan a trip to Ivanovo with Travelocity. You'll be able to save heaps if you book an accommodation and airfare deal. And there's even more — you can choose from at least 400 airline companies and 665,000 properties. Our Customer 1st Guarantee offers the security of 24/7 personal assistance on everything from flights and accommodations to rental cars and experiences. If you encounter an even better deal elsewhere, we will refund the difference^. Do you wish you had a little more security in your getaway itinerary? Our package bookings can be revised with no nasty fees or charges. And as long as you get in fast, many accommodations won't charge you either^. Ivanovo isn't known for its massive collection of places to stay. That said, with 5 properties available via Travelocity, you should be able to find what you're after pretty easily. Book now to avoid missing out! The Mini-Hotel Fifth Corner and Best Western Russian Manchester Hotel are our recommended accommodation options. Make a reservation and then get down to the good stuff — booking your exciting getaway activities. Where do you fly into for Ivanovo? Touching down at Yuzhny Airport (IWA)? Once you hop off the plane, downtown Ivanovo is approximately 5 miles (8 kilometers) north from here. Slide into a cab and enjoy the ride — your adventure is about to take off! Can I rent a car in Ivanovo? Forget public transportation and overpriced cabs. If you plan to do some fun exploring in Ivanovo, it'd be wise to secure some wheels via Travelocity. We make it so simple that you'll be fine-tuning your driving playlist in no time! Unfortunately, there are no car rental outlets in easy reach of Yuzhny Airport. You'll have to hop in a cab or look into pubic transport if you want travel the 5 miles (8 kilometers) into the city. Memorials commemorate lives that have been lost and disasters of the past. Stop at Memorial Stone Pushkin and take a moment or two for some quiet reflection. Need some more ideas? Few things give us a peek into yesteryear quite like historic buildings. Why not step inside Museum of Bubnov Family and hear a few stories about what went on under its roof? But that's not all there is. Wet afternoons are the perfect opportunity to immerse yourself in a good book in peaceful surroundings. So, if it looks as though it's going to pelt down, why not hurry over to Ivanovo Regional Universal Scientific Library and see what novels they have on offer? Abronikha is a favorite of tourists. It can be found 16 miles (26 kilometers) from Ivanovo, and there's no lack of things to do. The D.A. Furmanov Memorial Museum is a fantastic place to learn the story of this destination. D.A.Furmanov Memorial Museum and the Furmanov Picture Gallery are more places that shouldn't be missed. If this doesn't appeal, try Plyos. Just 35 miles (56 kilometers) away, this area is home to more noteworthy attractions including House-Museum of Isaak Ilisch Levitan, Ples Embankment and Church of the Resurrection. Spend a day or two here to check them all out! 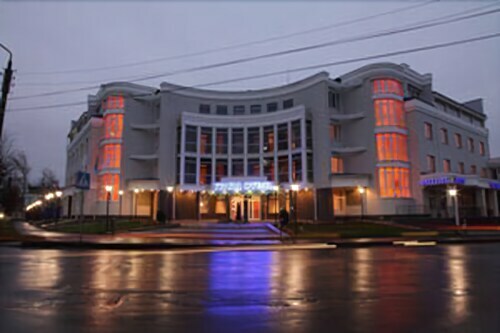 Located in the heart of Ivanovo, this spa hotel is within a 10-minute walk of Arcady Severny Monument, Boris Prorokov's House Museum, and Shchudrovskaya Palatka. Museum of Bubnov Family and Ivanovo Regional Universal Scientific Library are also within 15 minutes. 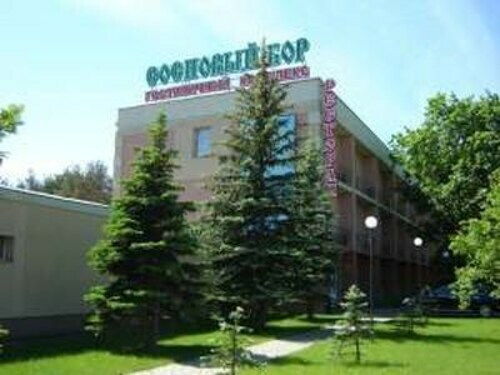 Located in the heart of Ivanovo, this hotel is within 3 mi (5 km) of Volzhansky State Circus in Ivanovo, Horseshoe House, and House - Ship. 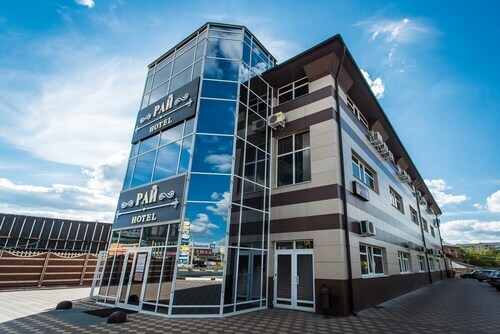 Located in the heart of Ivanovo, this hotel is within a 10-minute walk of Church of Our Lady of Kazan and Ivanovo Regional Universal Scientific Library. Ivanovo Palace of Arts and Museum of Bubnov Family are also within 15 minutes. Ivanovo Station is 25 minutes by foot. Situated in Ivanovo, this hotel is within 3 mi (5 km) of Museum of Bubnov Family, Arcady Severny Monument, and Shchudrovskaya Palatka. Ivanovo Regional Universal Scientific Library and Boris Prorokov's House Museum are also within 3 mi (5 km). 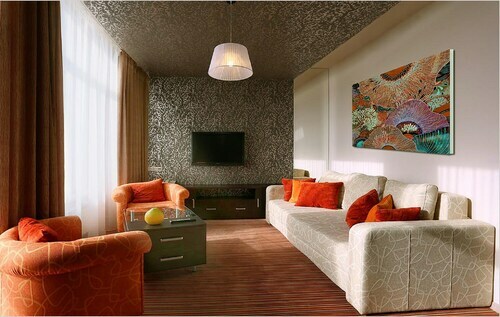 Located in the heart of Ivanovo, this hotel is within a 10-minute walk of House - Ship and Assumption Cemetery Church. Horseshoe House and Ivanovo Regional Art Museum are also within 1 mi (2 km). Ivanovo Station is 11 minutes by foot. Situated in Ivanovo, this hotel is 3.1 mi (5 km) from Boris Prorokov's House Museum and within 6 mi (10 km) of Arcady Severny Monument and Museum of Bubnov Family. Ivanovo Regional Universal Scientific Library and Ivanovo Palace of Arts are also within 6 mi (10 km). 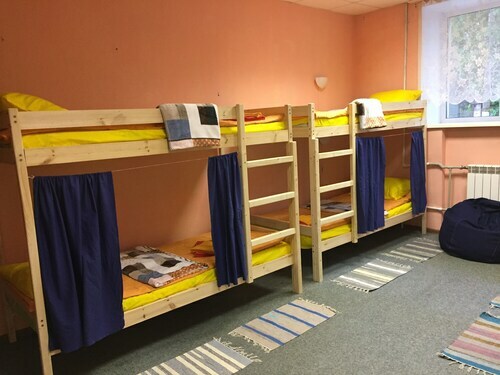 Situated in Ivanovo, this hostel is within 1 mi (2 km) of Boris Prorokov's House Museum, Arcady Severny Monument, and Shchudrovskaya Palatka. Museum of Bubnov Family and Ivanovo Regional Universal Scientific Library are also within 2 mi (3 km). 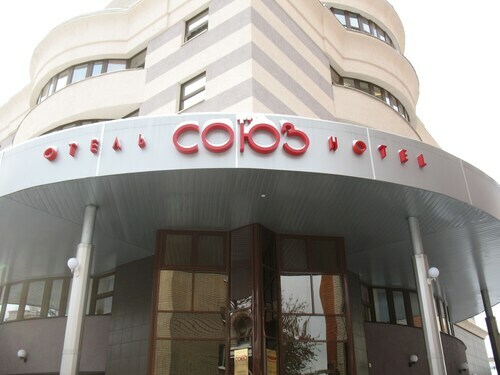 Situated in Shuya, this hotel is 0.2 mi (0.3 km) from Shumsky Local History Museum and within 20 mi (32 km) of Arcady Severny Monument and Boris Prorokov's House Museum. Museum of Bubnov Family and Ivanovo Regional Universal Scientific Library are also within 20 mi (32 km). Shuya Station is 22 minutes by foot.